How many meals per week are you eating away from home? Over the last 40 years, more and more people are eating out, leading to a significant decrease in nutrient density and greater health risks. Some studies show that less than 20% of adults are currently meeting the USDA guidelines for a healthy diet. A quick bite on your way to work, a working lunch, and grabbing take-out on your way home does adversely affect your health. Eating fresh home-cooked meals allows you to make healthier choices while spending less and supporting a healthy lifestyle. Have you noticed the size of the meals today at your favorite restaurant? Portions have simply gotten out of control, leading to greater incidences of obesity, high-cholesterol, and heart disease. 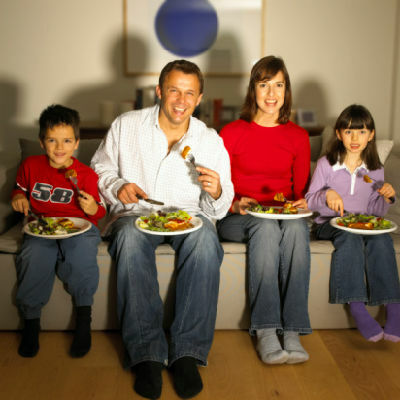 Eating at home allows you to dictate the portion, and the quality of the food you and your family consume. The calories you consume when eating at a restaurant, can be staggering. By preparing lean proteins, whole grains, and plenty of fresh vegetables, you can lead a healthier life. If you have children in the home, it also gives them a jumpstart on good nutrition practices that can last a lifetime. 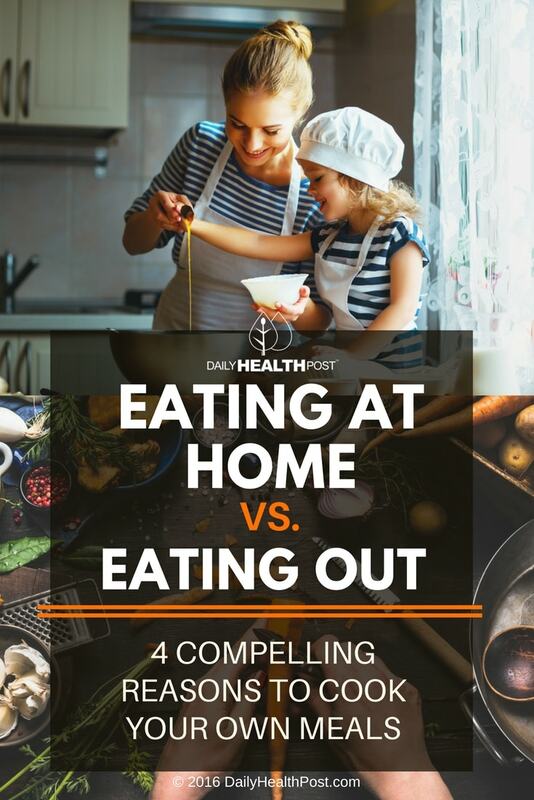 Latest Headlines » Healthy Eating » Eating at Home Vs. Eating Out. 4 Compelling Reasons To Cook Your Own Meals.